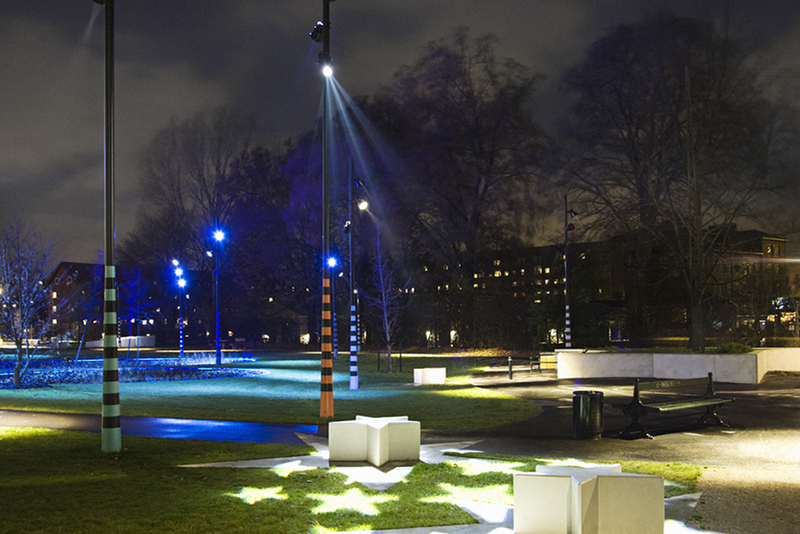 Lighting is a very central element in Nordvestparken. The overall theme of the park’s design is the dairy road. Star-shaped benches gobo projections and print on the asphalt guide users through the park while the colored interactive lighting adds surprising and fun experiences to the place. The project won The Danish Lighting Award 2010. Experience the park in the shift from day to night, where the artificial light creates a change in the character and expression of the park.